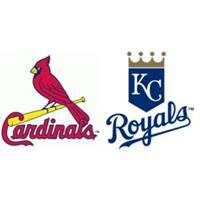 Our Day Tour to Kansas City as we watch the Kansas City Royals vs. St. Louis Cardinals. The game is on Tuesday evening and we will have our Pre-Game Tailgate with food and drink included. Great seats! Excellent trip for families too! We will leave early afternoon and return late evening. Travel from Joplin/Neosho via Viking Trailways motor coach; Pre-Game Tailgate and Game. Trip cost includes transportation, tailgate food and drink, admission to game.